Microsoft Dynamics 365 Business Central on-premise is relesed and it's now available through Partnersource. With the October 2018 release, Dynamics NAV transitions to Dynamics 365 Business Central on-premises. 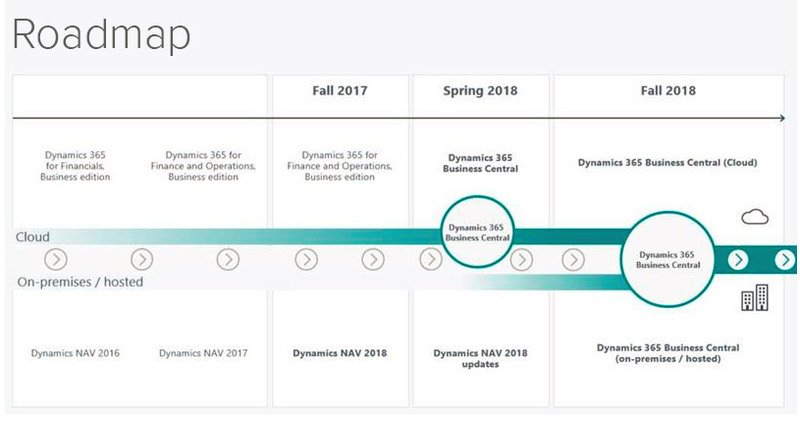 Dynamics NAV customers upgrading to Business Central on premises will enjoy the unique flexibility to continue running on premises, move to the cloud, or adopt a hybrid approach. With Dynamics 365 Business Central on-premise you can continue to use your existing object ranges, you can use Files and Dotnet variables, you have again the Windows Client and you will leverage the power of the Intelligente Edge.